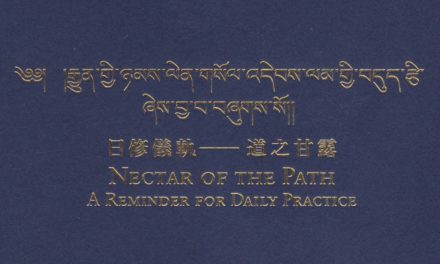 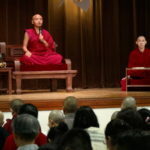 The teachings on meditation will be conducted in English, with translation into Mandarin. 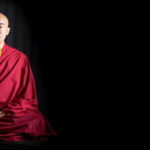 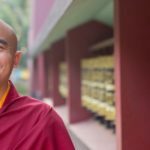 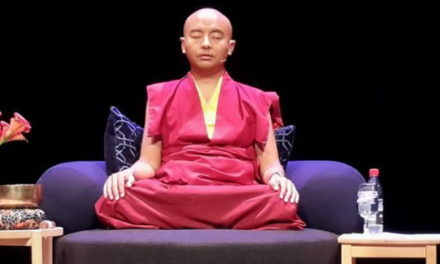 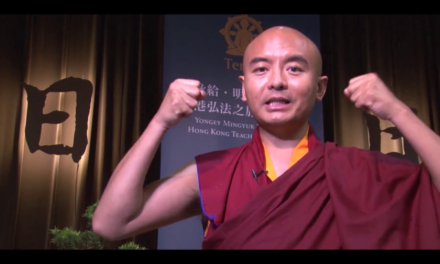 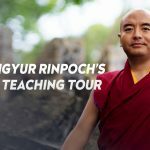 In this Public Talk, Mingyur Rinpoche will provide an overview on the essence of meditation and how regular practice can benefit our daily life. 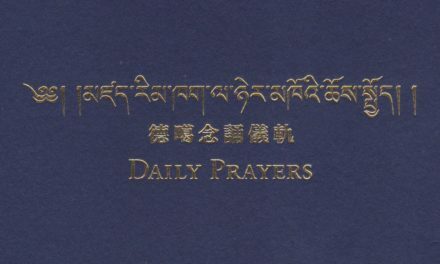 There will also be a blessings ceremony for Buddhists at 7.15 pm. 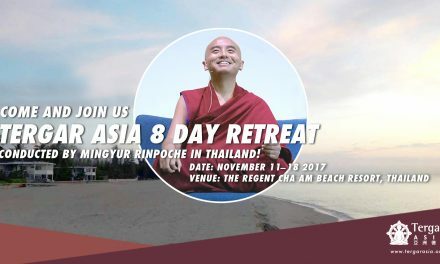 Prior registration is required for this event. 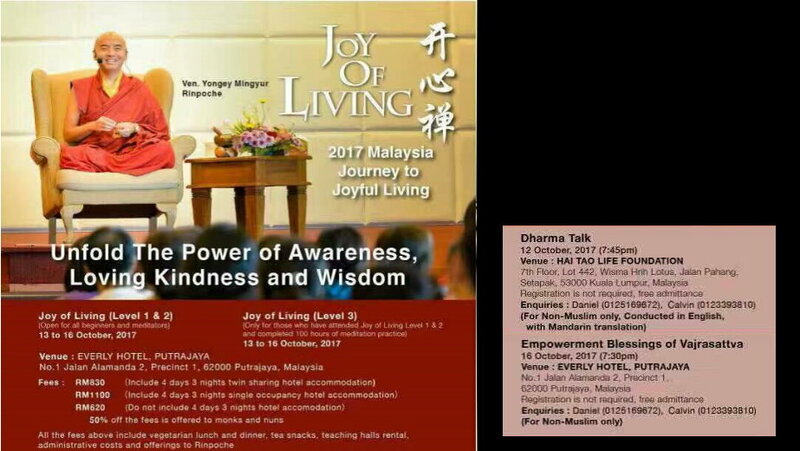 Prerequisite: Having attended JOL 1 & 2 workshops and completed 50 hours of home practice for each of the level. 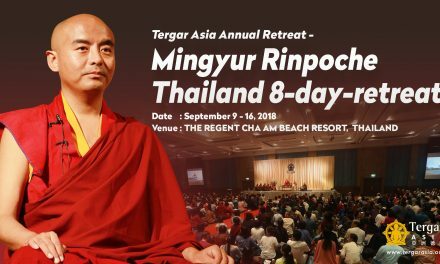 Do visit our Facebook Page (https://www.facebook.com/tergarmalaysia) for updates. 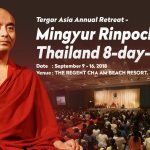 We at Tergar Malaysia, very much look forward to welcoming you at the above events.